No one wants to think about their death any sooner than they must, but planning your funeral in advance, called “preplanning” or “prearranging,” is a responsible, caring act that can reduce stress for your grieving loved ones. It’s easy to understand how making decisions now about your final arrangements can help assure those left behind that your wishes are honored. Take responsibility for your arrangements. Making your final arrangements in advance allows you to influence all elements of your services, including songs, readings or other personal details that are important to you. It’s your funeral – it should celebrate your life, your way. By communicating exactly which merchandise and services you want, you can keep your family from purchasing unnecessary additions to your services. During a bereavement period, family members have a tendency to over-compensate to express the love that existed between them and their deceased loved one. By pre-planning your funeral, your family will know that you have exactly what you want because you picked it out. That is a comfort that can’t be bought. 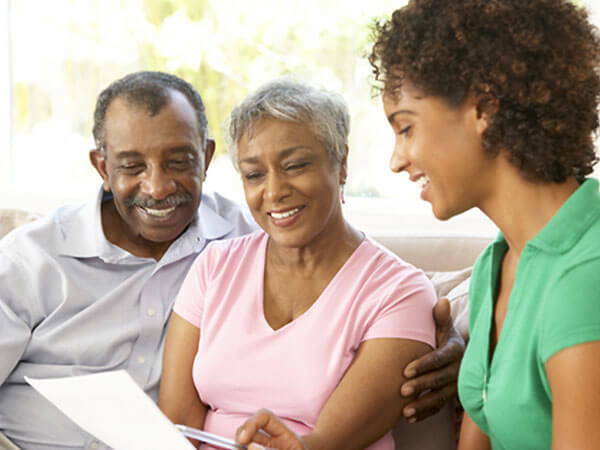 If you choose to fund your prearranged funeral plans, you can lock in today’s prices for products and services that likely will be more expensive in the future. It is important to work with a funeral professional to understand your options. Whether you simply want to ensure that your wishes are carried out, or you want to protect your family from making difficult decisions at a time of loss, planning your final arrangements in advance is an important responsibility, and one of the greatest gifts you can give your loved ones. How to Start the Advance Planning Conversation with Your Loved Ones. If you’ve made your own funeral and cemetery arrangements in advance, you know the relief you’ll provide your loved ones in the future. But how can you inform them of your plans without upsetting them by contemplating your death? Or, how can you let a loved one know that you’d like them to consider their own funeral and cemetery arrangements and share their plans with you? These conversations might seem tough to have, but they don’t need to be. What’s most important is that you have the conversation, not how you have it. There are many different ways to begin the planning ahead conversation. You know your family and how your loved ones might best respond to the topic. For some families, it might be a casual conversation over dinner or another family gathering. For other families, a formal meeting might be better suited. Regardless of your approach, the conversation is much easier to have when death is not imminent. Bringing up the subject with loved ones earlier in life when they are younger and most likely healthier makes the topic easier to discuss and keeps the focus on the celebration of life rather than an impending loss. Set a time to have the conversation. Schedule it as an appointment with your loved ones, whether you want to share your plans with them or ask them to make their plans to share with you. Tell your parent or loved one that you want to ensure their final arrangements are done according to their wishes, and you need their help to make that happen. Use the Personal Pre-Planning Guide offered by Stevens Funeral Home, LLC. If you are planning your own arrangements, complete the guide and present it to your loved ones. If you are encouraging others to plan, present the guide to them and work through it together. Call 252-991-5843 to request your copy. Ease into the conversation. Questions such as “Have you ever thought about where you would like to be buried?” or “What type of funeral would you like to have?” may open the discussion to more details about your loved one’s wishes. Take advantage of funeral-related opportunities. Attending the funeral of a friend, family member or colleague or watching a movie or television show with funeral scenes may naturally prompt the discussion with your own loved ones. Talk about what you liked or didn’t like about the services you saw or attended. Tell your children or loved ones that because you care for them so much, you don’t want to burden them with difficult decisions when you’re gone. Tell them you’ve made your own final arrangements, and give them a written record of what they are. Make it a family affair. Schedule an appointment with one of our directors at Stevens Funeral Home, LLC and invite your children along to participate in the selection of services, funeral merchandise and cemetery property. We are willing and able to meet with you or you and your entire family either at our funeral home or in the comfort of your residence. To schedule an appointment, please contact Stevens Funeral Home, LLC at 252-991-5843.